Among its many provisions, the Affordable Care Act requires insurance plans, inside and outside of the new health insurance Exchanges, to cover a core group of “essential” items and services. The law defines ten categories of benefits, such as pediatric services (including oral and vision care), rehabilitative and habilitative services; maternity and newborn care, and others, as Essential Health Benefits, or EHBs. The Department of Health and Human Services (HHS) has proposed that states be given the flexibility to define the EHB packages for health plans in their state through the selection of a benchmark plan that reflects the scope of services offered by a typical employer plan in their state. According to HHS, this approach allows states to select the best plan for the largest number of residents. The “best plan” in the state should, in theory, include comprehensive pediatric coverage and coverage of habilitative services, and the Children’s Hospital Association has been working aggressively to advocate with HHS for federal guidance to require states to cover those services. Unfortunately, on November 20, HHS released a proposed rule on standards for EHBs that includes no such provisions. If HHS does not strengthen its requirements for state EHB benchmark packages, most states will have EHBs that do not adequately consider or represent our children’s health care needs. 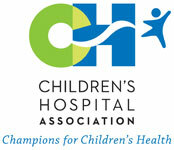 The Children’s Hospital Association plans to comment on the proposed rule on its own and jointly with other children’s groups to urge HHS to adopt a comprehensive definition of pediatric benefits and a strong federal definition of habilitative services in the final rule on EHB. The Association will reiterate its position that, at a minimum, HHS should add states’ CHIP plans as a benchmark option for children’s coverage and require states to assess their chosen benchmark plan for the adequacy of pediatric coverage and use their CHIP plan to supplement the benefits. In addition, the Association will continue to argue that health plans must be required to cover those services that help an individual attain, retain, or improve their skills and functioning. These habilitative services are critically important for children with lifelong developmental and health care needs. Children’s hospitals and children’s advocates must weigh in with HHS on this proposed rule as well. HHS will accept comments through December 26 on this proposed rule and your comments can help shape the agency’s final rule on this issue. In addition, HHS has said that it will revisit the way that EHBs are defined looking ahead to 2016. It is critical that the agency keep hearing from you about the importance of comprehensive coverage of pediatric and habilitative services in every state. In the meantime we encourage you to work with your state now to choose a benchmark plan that works for children. States must choose their benchmark plan by December 26. We will be providing you with some resources to help you with those efforts and will keep you posted on other ways you can get involved.